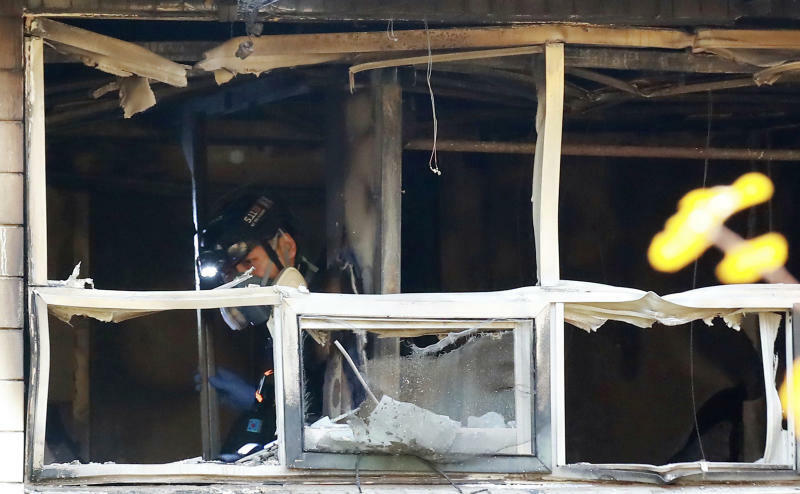 SEOUL, South Korea (AP) — A fire that likely blocked a crucial exit at a low-cost dormitory-style housing facility in central Seoul killed at least seven people and injured 11 others on Friday, according to fire authorities who were investigating possible safety lapses in the building. The blaze has been extinguished, but it's possible that the death toll could rise, officials at the Seoul Metropolitan Fire and Disaster Headquarters said. 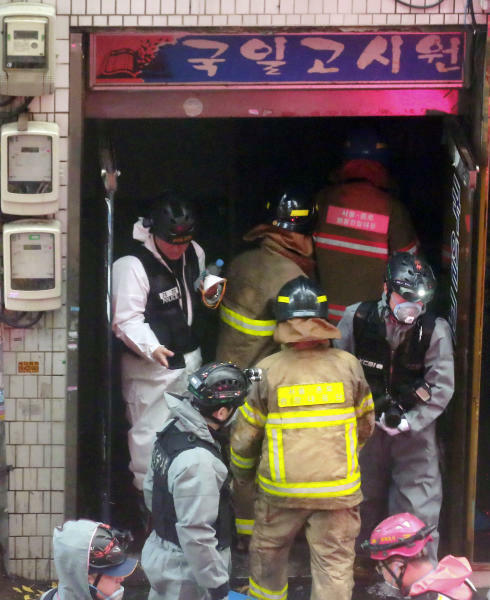 The fire probably started near an exit door on the building's third floor, Kwon Hyeok-min, chief of Seoul's Jongno District Fire Station, told reporters. The facility's residents were mostly manual laborers who made their living on day-to-day jobs, he said. Another official from the Jongno station said the facility, which was built in 1983, did not have sprinklers because current safety regulations can't be retroactively applied to older structures. The official, who didn't want to be named, citing office rules, said it was unclear whether the building's smoke detector worked. South Korean media reported that most of the victims were manual laborers in their 40s to 60s. The fire agency couldn't immediately confirm the reports. It wasn't known whether any young students or travelers were staying there. The facility was located on the second and third floors of a three-story building, where the fire agency said all the victims were found. Its first floor has restaurants. South Korea, one of Asia's richest economies, has struggled for decades to improve safety standards and change widespread attitudes that treat safety as subservient to economic progress and convenience. 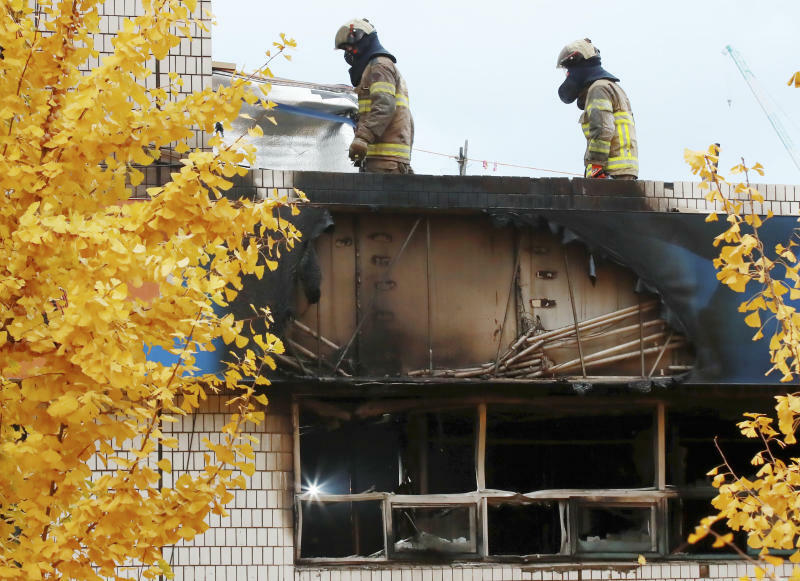 Forty-six people died in January when a fire ripped through a small hospital with no sprinkler systems in the southern city of Miryang. It was the country's worst fire since 2008, when 40 people died at a refrigerated warehouse in Icheon, near Seoul. Twenty-nine people were killed in a building fire in Jecheon in December of last year.